This recipe comes form Bakes & Cakes Spring Special 2014, and features a peanut biscuit base, peanut butter layer, salted caramel layer, and a chocolate-toffee layer. Billionaire indeed! Oven to 160C fan. 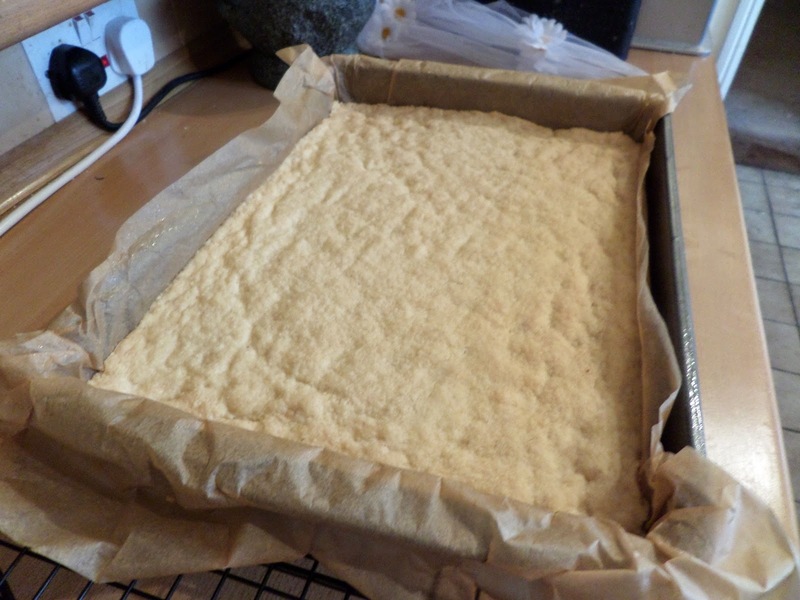 Sling-line a 20x30cm tin with baking parchment. Put all the ingredients in the food processor and process until it starts to form a dough. Need to form the dough fully. Press into the tin. Bake for 25 minutes, until golden, and set aside to cool. Melt the butter and peanut butter on the hob. Pour into the icing sugar and mix. Pour oven the cooled base and chill for two hours to set. Heat caramel and salt on the hob, bringing it to the boil for 2-3 minutes, whisking continuously, until it darkens and thickens. 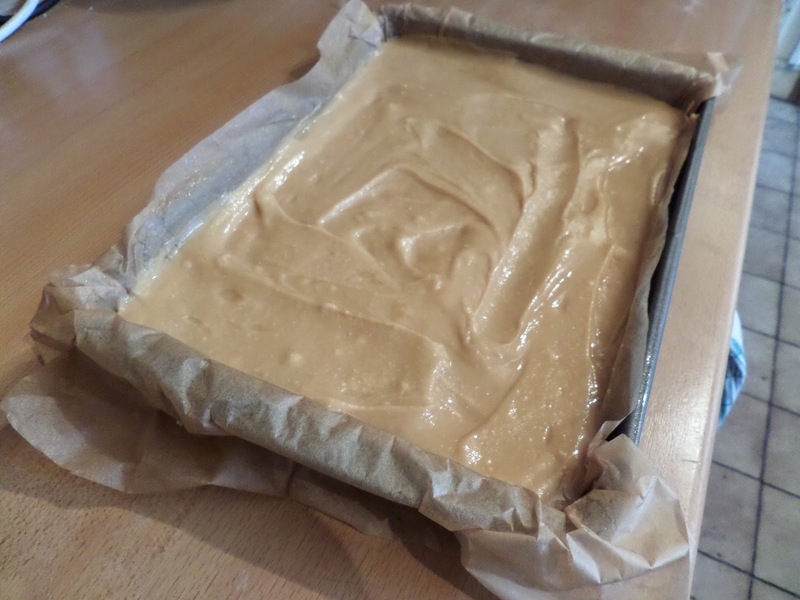 Pour over the set peanut butter layer, and chill for two hours to set. 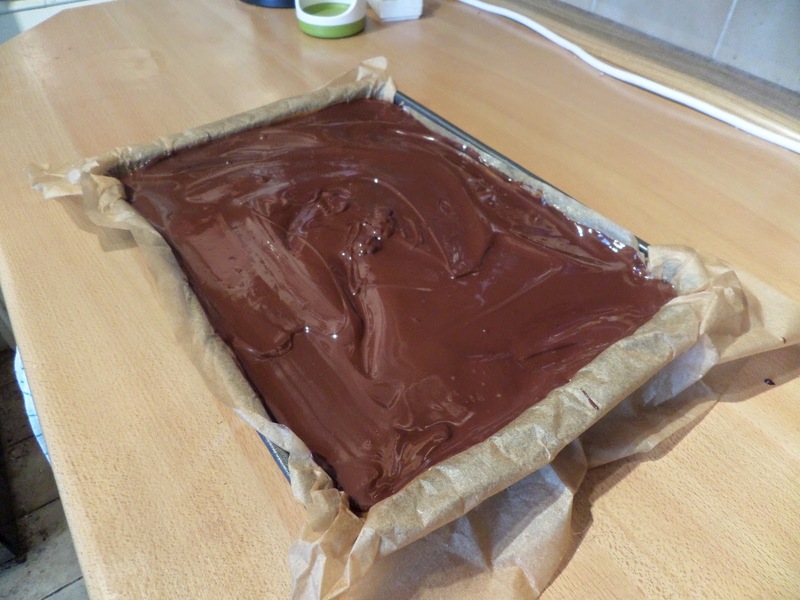 Melt the chocolate over a bain-marie. Pour the chocolate over the set caramel layer. 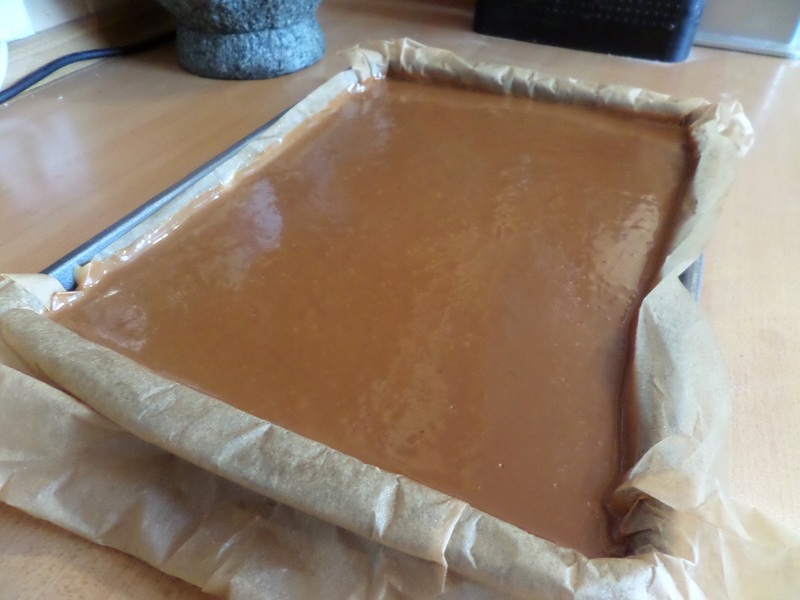 Melt the toffees with the milk on the hob, then drizzle the toffee over the top to form patterns. Sprinkle the sea salt flakes over the top. Chill for two hours to set before cutting and serving. 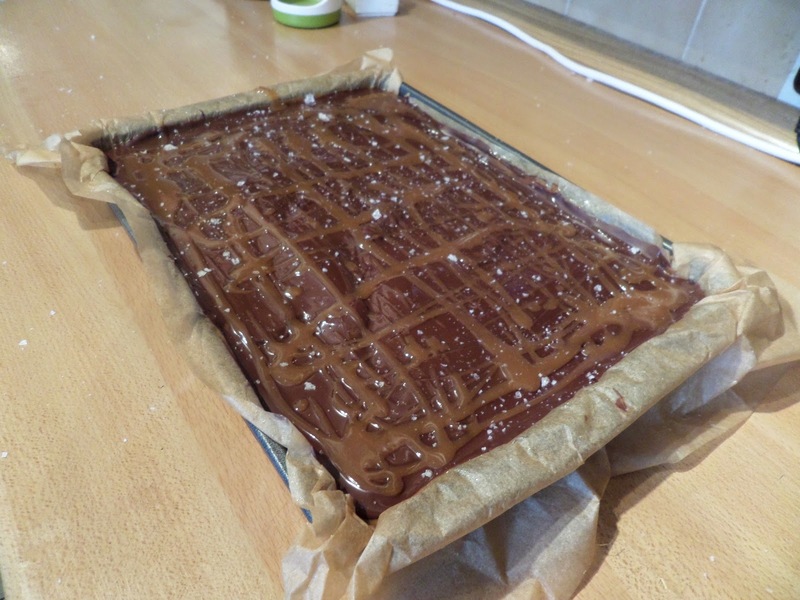 Cutting did not go well… the chocolate cracked, and the lower layers were squidgy. It took ages to box it up… and I forgot to take pictures. Suffice to say, not pretty!